Can you wash your car during a hosepipe ban? There was always going to be a catch. After weeks of scorching sun and one of the longest dry spells this decade, hosepipe bans are coming into force in the UK. Restrictions already in place in Northern Ireland, while United Utilities has confirmed a ban will also be enforced from 5 August in the north west region of England, affecting seven million people. This means those living in affected regions face restrictions including: watering established gardens with hosepipes, filling swimming pools and, most importantly for car lovers, cleaning vehicles with a hosepipe. But fear not – you won’t necessarily have to struggle to keep your pride and joy sparkling. A hosepipe ban is just that: a ban on using hosepipes. If you fill a bucket of water from a tap, you’re still within your rights to clean your car, van, motorbike, trailer, caravan or even boat. According to Uswitch, washing your car with a hose takes between 400 and 480 litres. Using a good old bucket and sponge only uses around 32 litres of water rather than hundreds. Business that use hosepipes in the course of their day-to-day cleaning business operation (for example hand car washing, window cleaning, graffiti removal), are exceptions and can carry on as normal. So there’s that option too. Cleaning a private motor-vehicle using a hosepipe by people who hold a Blue Badge. Cleaning a private motor vehicle using specific low water use apparatus such as pressure washers. What happens if you use a hosepipe during a ban? Any person who contravenes the ban may be guilty of an offence, and liable, on summary conviction, to a fine not exceeding £1,000. If you are going to be cleaning the car yourself. 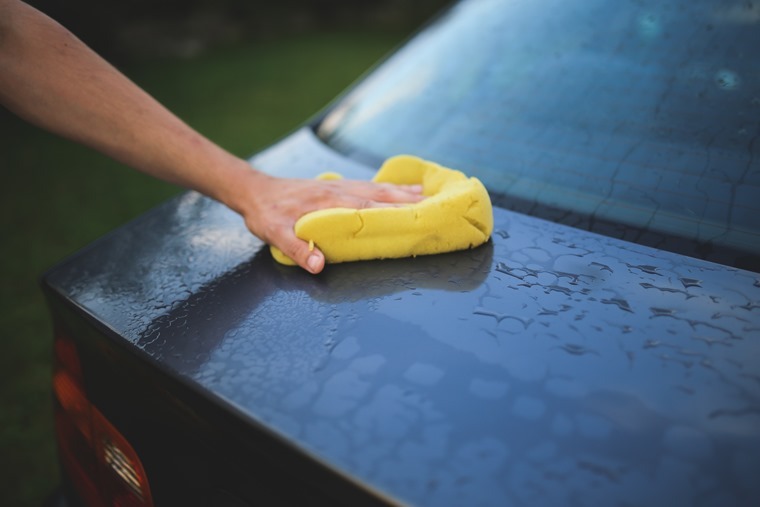 It’s worth remembering that without washing the grime off thoroughly first, you do run the risk of damaging your paint; sponges pick up tiny particles of dirt that cause tiny scratches. First off, rather than simply a bucket and sponge, use a watering can with a rose to ensure that water is efficiently dispersed. It’s also worth investing in some microfibre cloths and a drying towel that’ll help you mop up suds, as you can’t simply hose your car down. You can buy what are known as waterless car cleaners from your local motor factors, which are designed to be used with a microfibre cloth. The chemical lifts those tiny particles from the car’s paintwork and means you can wipe them off without running the risk of scratching. It’s also want to consider polishing and waxing your car after you’ve washed it. This is because a layer of wax creates a barrier between the paint and those pesky dirt particles. It’ll make it far easier to clean next time round, too – depending on how long the hosepipe ban lasts. And remember, you can’t just not clean your car for months on end, as that could land you in trouble too. It’s actually a legal requirement to be able to see out of all windows and you could be be fined up to £1,000 if our car’s number plate is obscured by dirt.